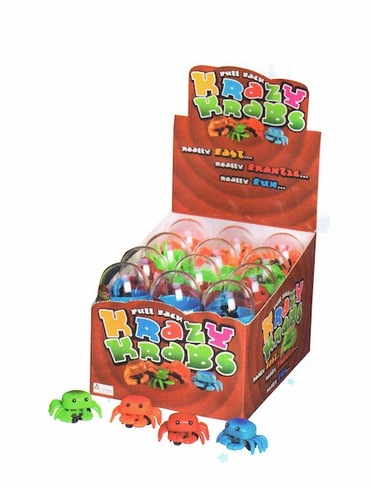 These wind up crabs scurry side to side when you drag them across the table. Available in assorted colors. Price per crab.